Please look at the following two pictures and then the notes of the original owner. He was of the opinion that the block could be unique!? Has anyone information and do you agree / disagree with this? These stamps were printed 16 February 1976 & were issued 5 June 1976 which is all quite normal? I can supply these to you in quantities. 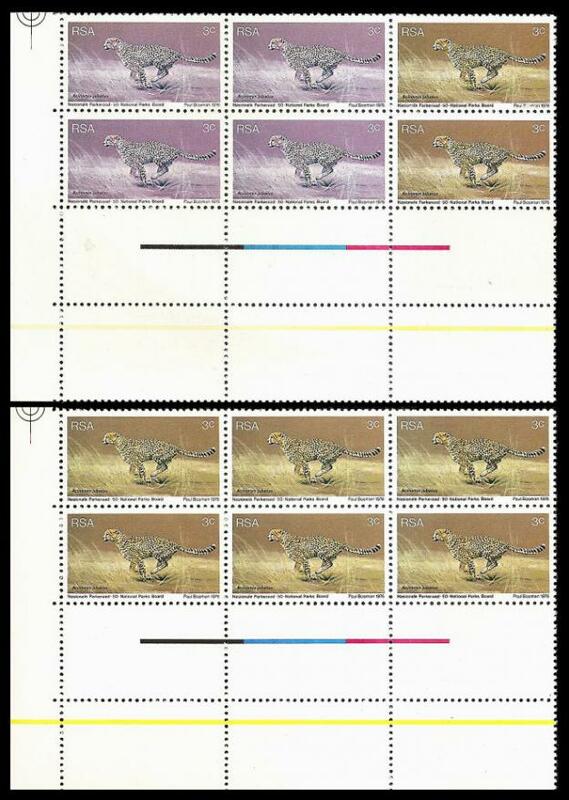 Obviously, the stamps were printed long before the date of issue. The Nats took no chances, unlike today where the stamps are printed after (suggested) date of issue. Just look at this rarity!